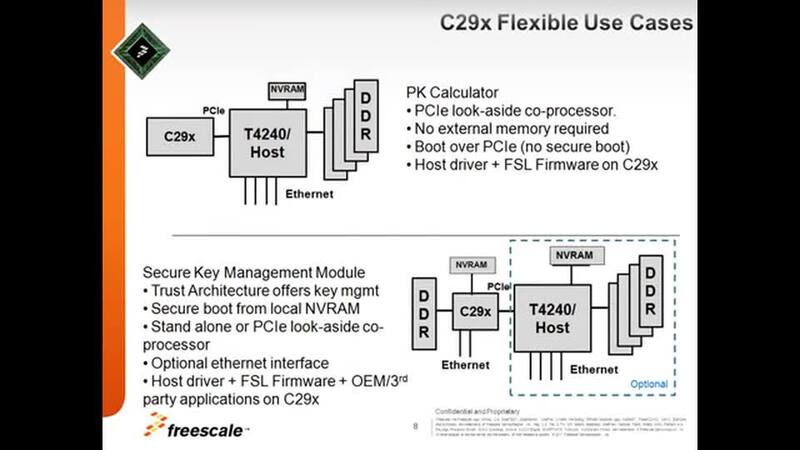 The NXP® C29x crypto coprocessor family consists of three high performance crypto coprocessors – the C291, C292 and C293 – which are optimized for public key operations targeting network infrastructure across the enterprise and the data center. Public key algorithms such as RSA, Diffie Hellman and Elliptic Curve Cryptography (ECC) are the basis of digital signature and key exchange protocols that make secure transactions possible. By providing public key acceleration, the C29x family enables networks to efficiently scale with the increase in SSL and IPsec traffic that require public key. Scaling with secure transactions is difficult because performing public key math in software can quickly saturate today's general purpose processors. 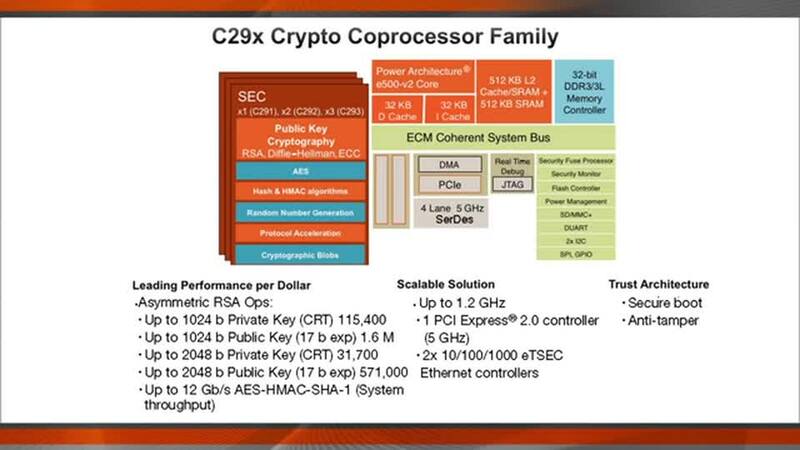 While optimized around public key, the C29x family can also accelerate AES‐HMAC‐SHA‐1 bulk encryption. The three devices offer scalable, pin-compatible performance and range from one to three security engines (SEC) – the C291 features one SEC, the C292 features two SECs, C293 features three SECs.